Alix D. Reynis grew up in a family where everyone loved to make everything themselves. After studies that promised her to a high lever career, she decided to dedicate herself to her true passion, sculpture, and created her eponymous brand in 2011. The first collections of dinnerware were born, followed by scented candles, light fixtures and more recently jewelry. Her creations borrow their graphic codes from our universal heritage. Loving noble and demanding materials, Alix decided to create her pieces in Limoges porcelain for the house and in gold or vermeil for the jewelry. Each piece comes from a model, drawn and then carved in plaster or wax in her studio located in the Marais district in Paris. Thanks to her timeless style, incomparable in its sophisticated details, Alix revisits everyday objects with finesse and elegance. The year 2016 is marked by the opening of her first Parisian boutique and her association with Véronique Dejean Gabail, who, following her broad experiences at Elle Magazine and Elle Décoration and then at Maison Baccarat, is in charge of the development of the brand. The brand is now available in more than 50 points of sale in France and abroad, and is developing interior design projects for private residences but also in the restaurant and hotel business. 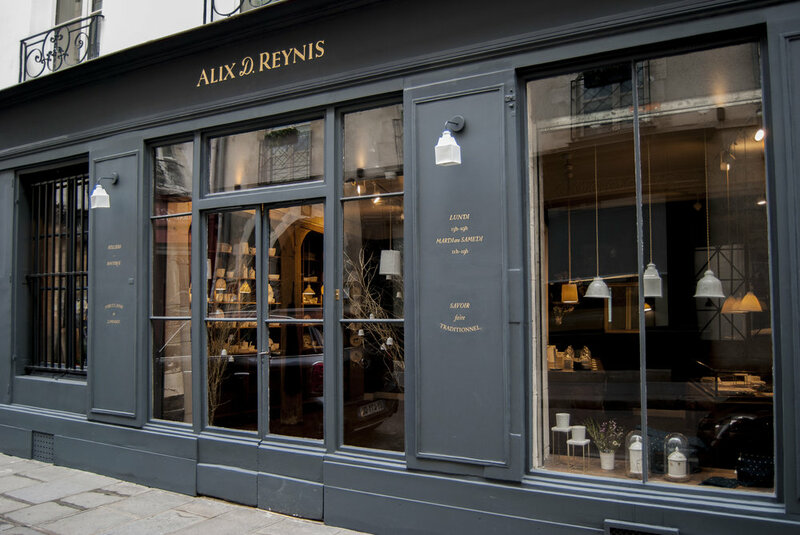 All our creations are showcased in our two shops located in the famous district Le Marais and in Saint Germain des Près, in Paris. With its little air of ancient Parisian days, it is a warm and unique places where we also have our workshops.